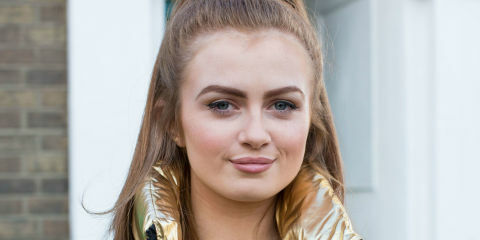 EastEnders has announced that Maisie Smith is returning to the show as Whitney Carter's sister Tiffany Butcher. The actress is already back filming with the BBC soap and will reappear on our screens as Tiffany in the New Year. Tiffany – who is the daughter of Bianca and Ricky Butcher – left Walford with her mum back in 2014, returning brifely from whitneys wedding last year. Smith first joined the BBC1 soap back in 2008 when she was six-years-old to play Bianca and Ricky’s cheeky daughter. 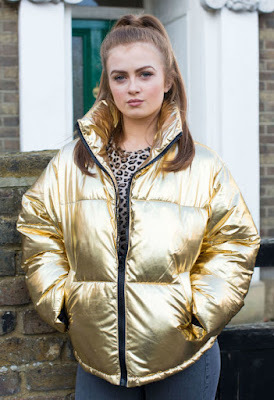 Now it seems that Tiffany will be channelling her loudmouth mum when she rocks up in a Bianca-esque Puffa jacket and starts causing chaos after landing on Whitney’s doorstep. Tiffany is set to instantly cause chaos when she lands on Whitney's doorstep next year, but why has she returned? And how will she settle back into Walford? Speaking about reprising the role, Maisie said: "It's great to be back on the set of EastEnders. It's been lovely to see some old faces and meet new ones too. I can't wait to show everyone how much Tiffany has changed."